Three out of the ten collections chosen for the final were designed by members of the Aalto community. This year the Hyères finalists include Rolf Ekroth with his mens’ collection, Hanne Jurmu and Anton Vartiainen with their combined mens’ collection, and Akino Kurosawa with her womens’ collection. All four have studied fashion and clothing design in Aalto University. ‘I feel truly privileged. The standard is very high’, said Hanne Jurmu. ‘Passing into the final is a great opportunity: we get sponsors for the materials and extra time to further develop our collection’, she added. 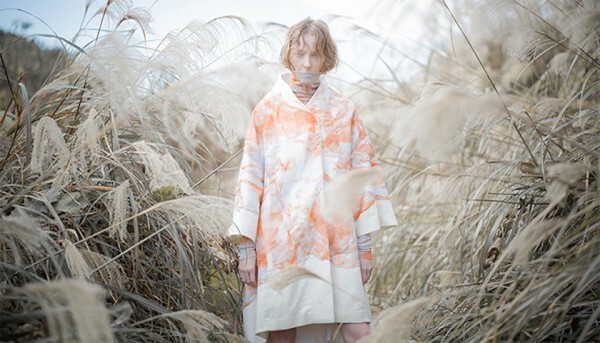 In recent years, the main prize of the Hyères Fashion Festival, which is aimed at young professionals, has been awarded twice to collections from Aalto University School of Arts, Design, and Architecture. This year the school’s fashion master’s and bachelor’s students demonstrated their skills once again by being selected for the final. Hanne Jurmu’s and Anton Vartiainen’s men’s collection. Photo: Sara Riikonen. The judges of the Hyères Fashion Festival represent some of the top international figures in the fashion world. The event has been held at the famous Villa Noailles in Hyères on the French Riviera since the beginning of the 1980s and is regarded as one of the world’s most prestigious fashion competitions. It is put together by the same producers and casting-directors who create the exhibitions for Paris fashion week for the great fashion houses such as Chanel and Balenciaga. The Festival International de Mode & de Photographie Hyères will be held this spring from 21 to 25 April at the Villa Noailles in France.